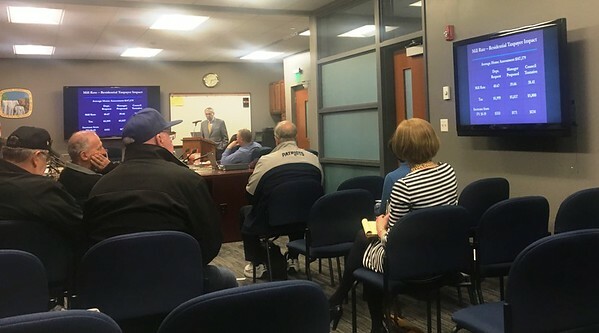 NEWINGTON - About a dozen people showed up for the final public hearing on the town’s 2019-20 budget, and two spoke on the $123.6 million plan. The Town Council is expected to vote on the proposal Tuesday, April 16, at a 7 p.m. meeting. 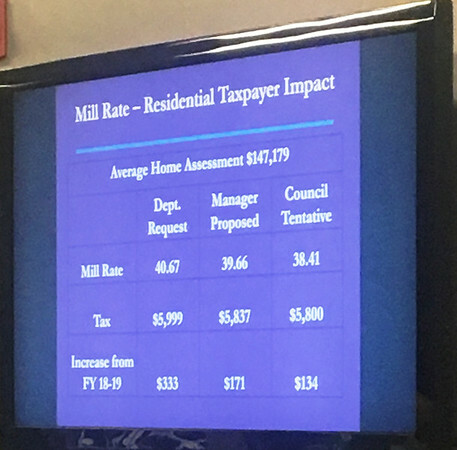 If no changes are made, the new property tax rate will be 38.41 mills, reflecting a $134 tax increase for the average homeowner. Department heads submitted their requests to Town Manager Tanya Lane after the holidays and she presented her budget to the council in early March. Expenditures were deliberated at length during special budget meetings over the last month and a half. Councilors waived their right to make additional changes to the tentative budget following the last hearing. 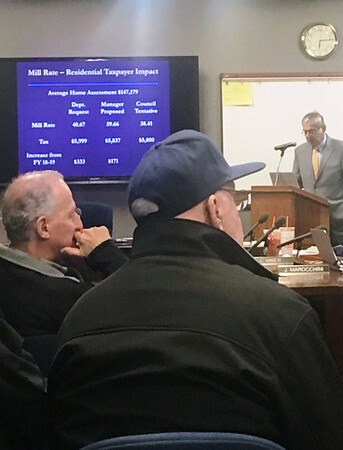 “Thank you to all the town departments, who understand the town’s fiscal situation and submitted requests at or near a zero percent increase,” Mayor Roy Zartarian said during his budget presentation before public comments. Neil Ryan was one of the two residents who addressed the spending plan. The majority of the attendees were there to support the Newington Veteran Firefighters’ Association, a group of current and retired firefighters who support the families and activities of the Newington Volunteer Fire Department. President Chet Bogacz addressed the council, requesting that a $5,000 grant the town had cut to $2,500 during prior deliberations be restored in its entirety. Bogacz and the other NVFA members did not realize that councilors had taken that very action at a meeting prior, reinstating the designated allotment. Deputy Mayor Beth DelBuono approached the group after the hearing, telling them they had the council’s full support. “There was a vote last week to reinstate that money,” she said, thanking the association for its service to the town. Bogacz used the hearing as an opportunity to educate people about the ongoing efforts of the association, which operates largely behind the scenes. The NVFA celebrated its 65th anniversary last year with a golf tournament to raise money for an annual scholarship awarded to a Newington High School student pursuing fire science. Members also bought uniforms for the department’s cadet program, detailed the historic 1950 Buffalo fire engine for the town’s Memorial Day parade, and made a generous donation to the Newington Food Bank in honor of late NVFA President Bob Seiler, one of its most dedicated volunteers. Posted in New Britain Herald, Newington on Wednesday, 10 April 2019 20:59. Updated: Wednesday, 10 April 2019 21:01.